It may only be February, but we’re already looking ahead to April and our annual Easter Walk. 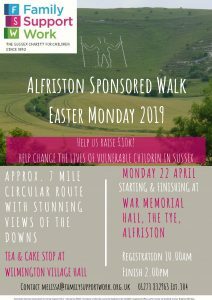 We’re delighted to announce that this year we will be returning to Alfriston for a beautiful 7-mile walk on the Downs. We would love you to join us and help us to raise £10,000 to support the incredible work of our practitioners across Sussex. Why not get some family and friends together to work off the extra Easter calories? 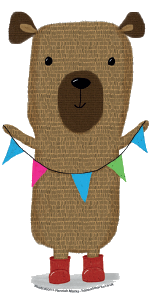 We can support you with a full information pack, sponsorship form and hints and tips for sponsorship. Please get in touch with Melissa in the office on 01273 832963 or by email melissa@familysupportwork.org.uk to register your interest. « February’s newsletter now out!